CLOSEOUTS. 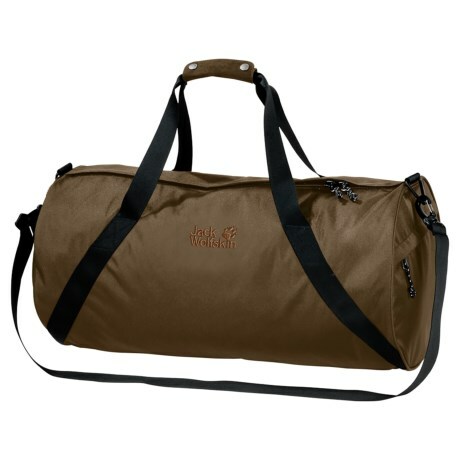 A spacious bag for the gym or travel, Jack Wolfskinand#39;s Berkeley duffel bag fits plenty of gear or clothing and is made from heavy-duty Aramtech Plus fabric. Available Colors: ROCKY BROWN.